PoRejestracja iZaloguj się, setup a new IP Camera channel or configure exiting one fromTransmitowany na żywo menu. 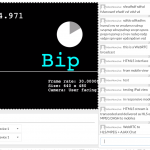 Next step is to fill IP Camera RTSP or Stream address. This step provides more details about format and allows retrying based on AJAX. 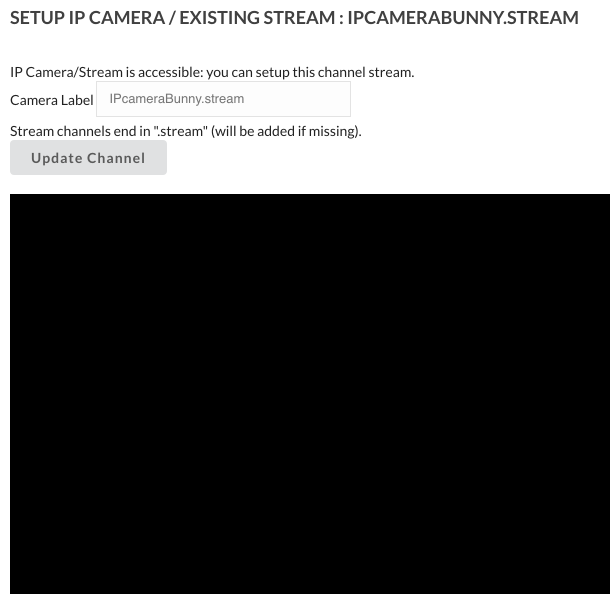 If streaming server can access the stream a snapshot will be shown (usually a black frame for movie based streams) and channel can be added. Channel is then accessible on site. 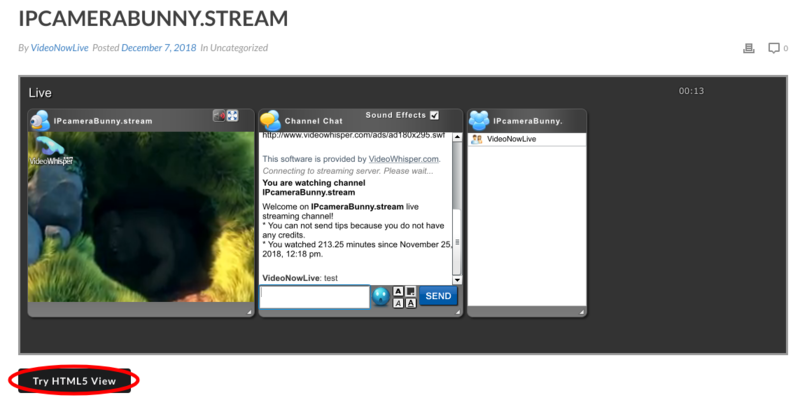 Channel shows in Flash web based channel interface using direct stream. 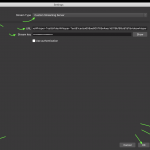 Some encodings may not play directly and require transcoding. 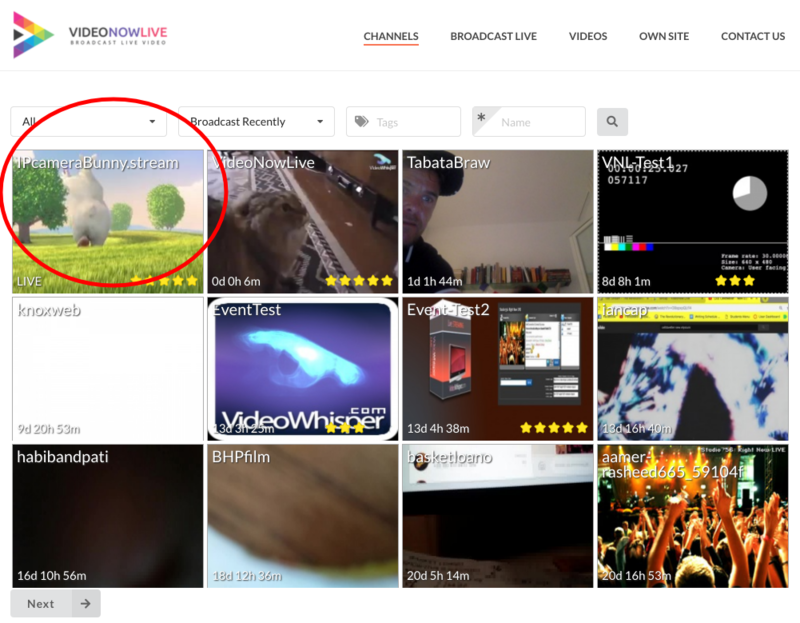 Live channel is accessible in HTML5 browsers as HLS, MPEG-DASH after transcoding. 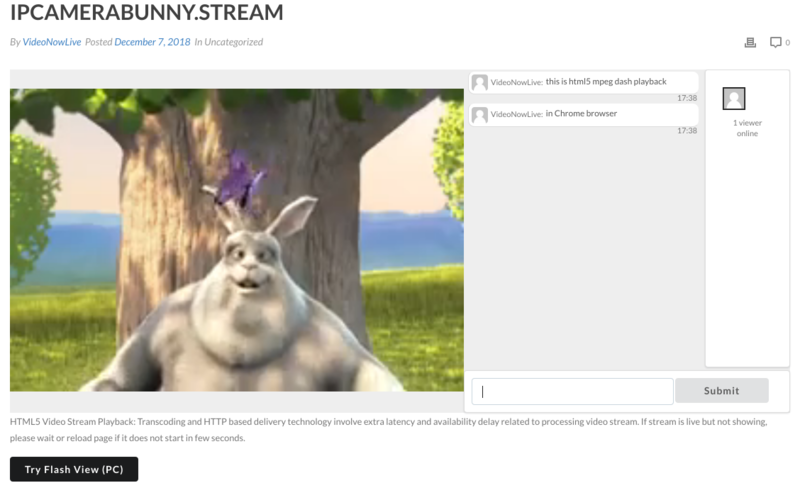 Transcoding makes streams suitable for HTML5 playback. 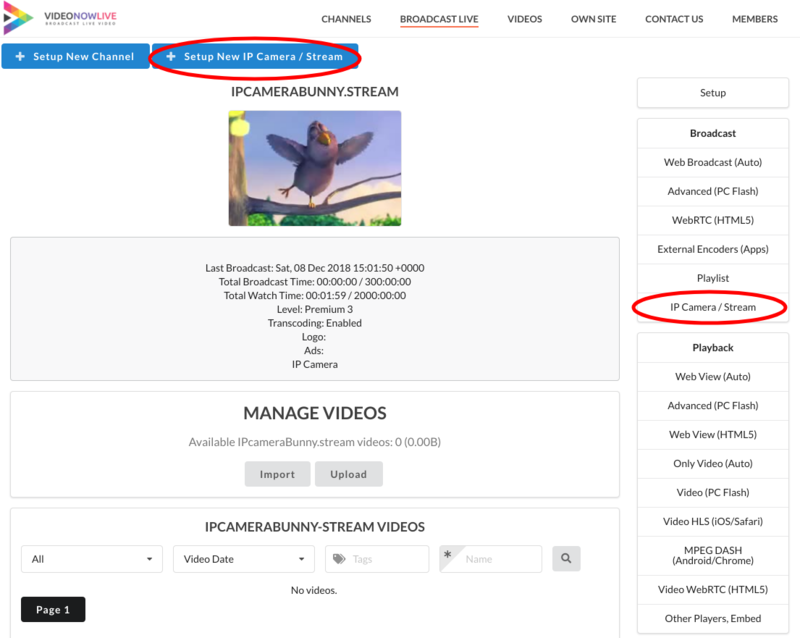 Live channel is also listed automatically in channels list after updating snapshot.